Audi shows off its RS5 super-coupe with a death-defying pseudo-stunt. Back in 1974, American daredevil and all-around badass Evel Knievel took his custom X-2 Skycycle to Idaho in an attempt to jump Snake River Canyon. 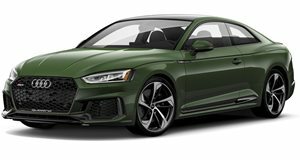 The jump was ultimately unsuccessful, but 40 years later Audi has returned to the site of the stunt to try and conquer the canyon in the new RS5. The stunt seems more of the publicity kind than the daredevil type, because while its 4.2-liter V8 produces a prodigious 450 horsepower, that engine sits all the way in the nose - not ideal for jumping a canyon. Audi, however, seems intent on proving us wrong. So can the engineers from Ingolstadt overcome the laws of physics? Watch the video below and see for yourself.